At the heart of the Dallas Arts District, a new mixed-use development recently unveiled their art collection at a public event last month. 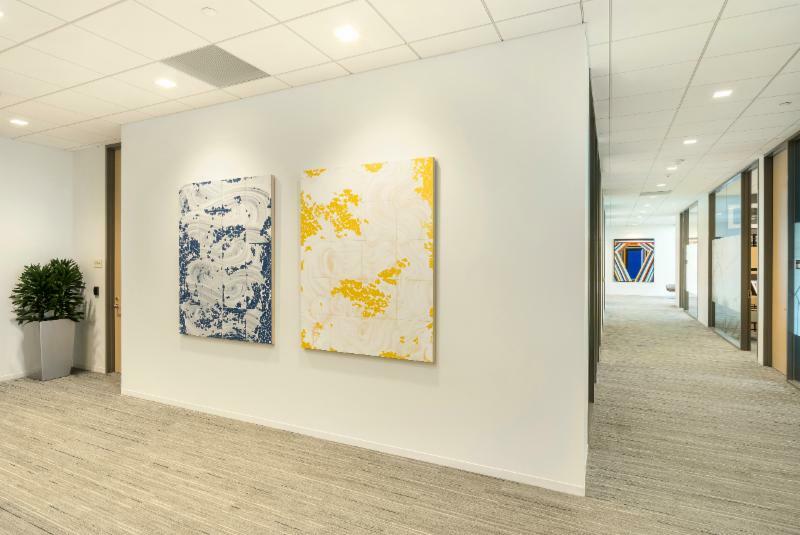 In collaboration with Trammell Crow Company, Kinzelman Art Consulting acquired 4 works of art for the lobby of their 900,000+ square foot office tower. Among these pieces are a wall-based sculpture by Olafur Eliasson, two site-specific commissions by Billy Childish and a 16 foot painting by Jennifer Bartlett. Olafur Eliasson wall-based sculpture at Park District, Dallas. 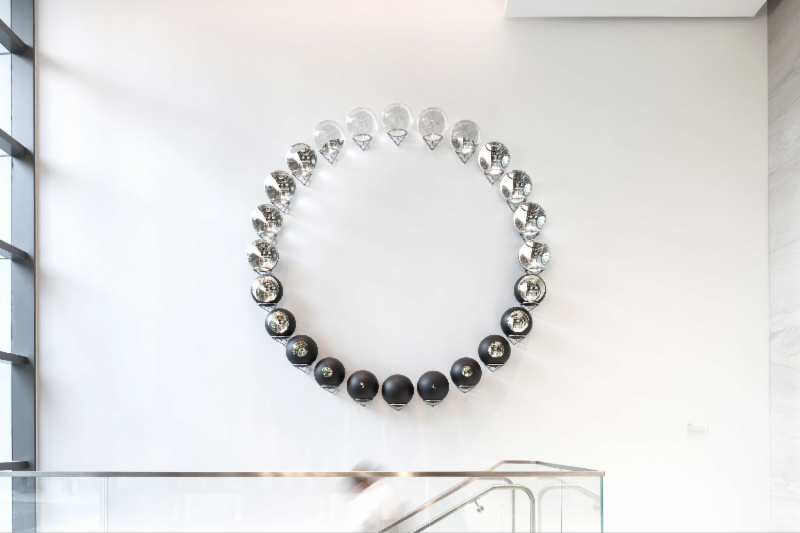 The lobby's sleek open space is punctuated with a pristine Eliasson sculpture titled "The Breathing Moon." Eliasson's work examines consciousness and cultural conditions, and how they define human interaction and perception of the world around us. 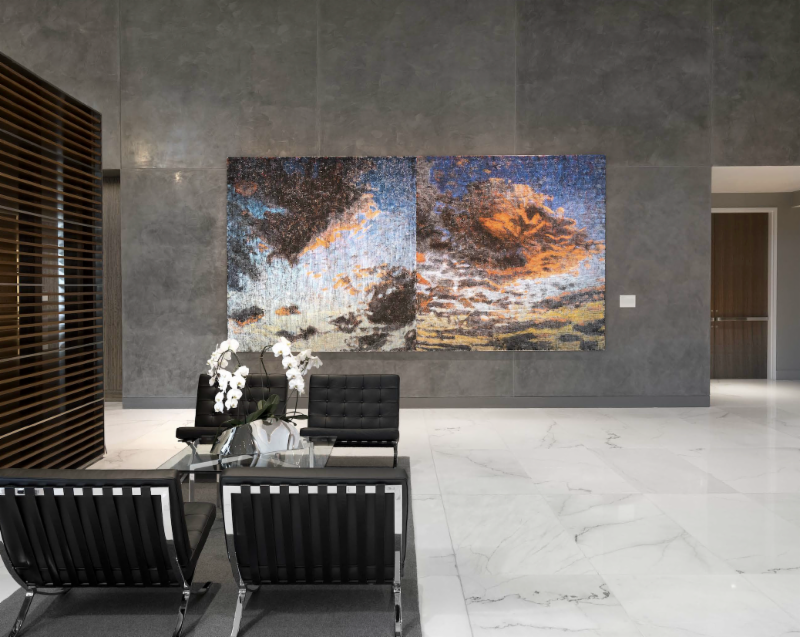 Nearby is Jennifer Bartlett's dynamic sky painting, consisting of a dense crosshatching that creates texture amid vibrant colors that illuminate the clouds in the composition. Jennifer Bartlett painting at Park District, Dallas. Two paintings commissioned by British artist Billy Childish are also included in the collection. In his emotive oil and charcoal paintings, Childish skillfully illustrates his signature fluid and gestural painting technique. 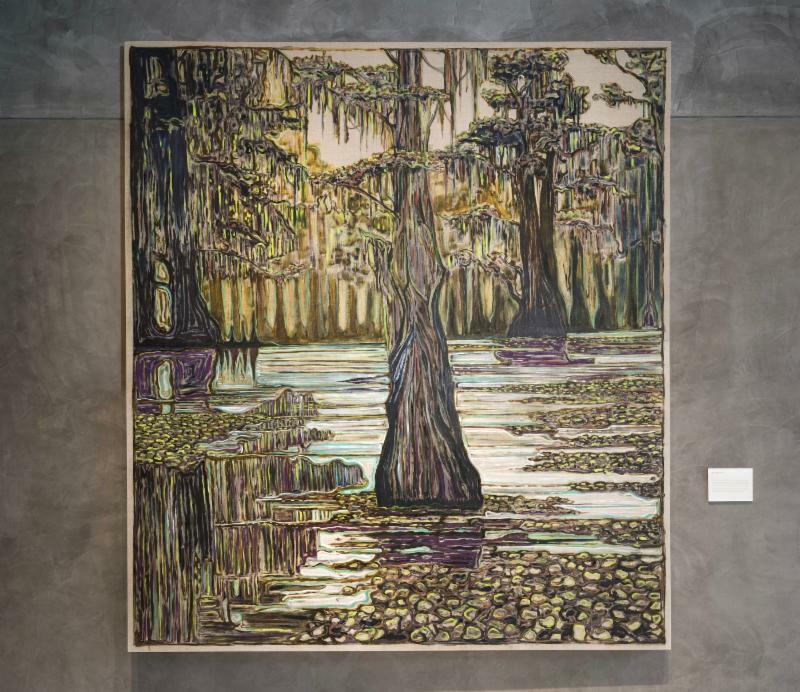 Billy Childish painting at Park District, Dallas. 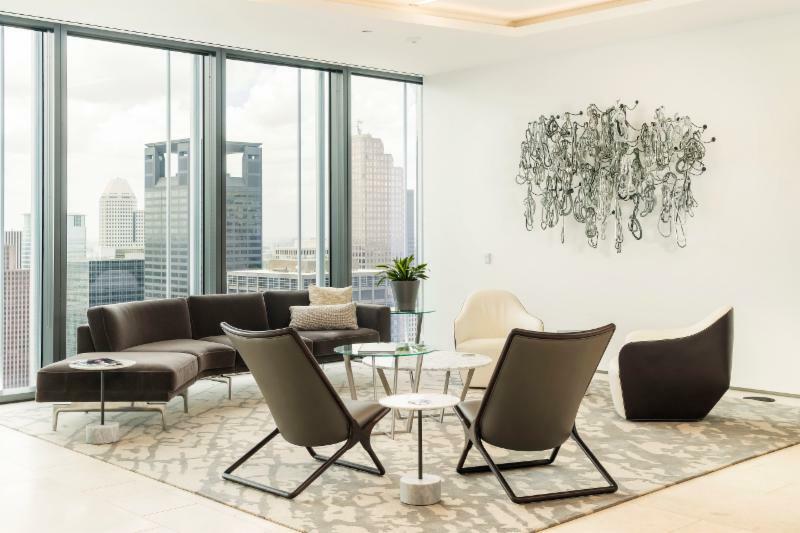 KAC recently completed a collection for LA-based law firm, Orrick's new Downtown, Houston office space. 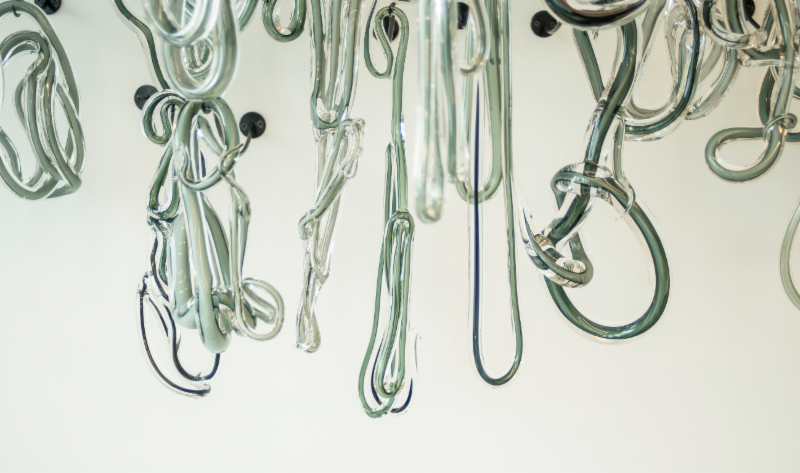 The space houses a diverse list of artists, both national and internationally represented, and includes works on paper, paintings and wall-based sculptural works. Graham Caldwell installation and detail images at Orrick. Among Orrick's collection are works by Matt Kleberg, Alex Katz, Katy Stone, Evan Robarts, Linda Martinello and others.